The Americans, by Robert Frank. Steidl/National Gallery of Art. 180 pages. $39.95. Looking In: Robert Frank’s The Americans, edited by Sarah Greenough. Steidl/National Gallery of Art. 503 pages. $85. When I was eight, my family took a road trip from New York City to Colonial Williamsburg. On the drive home we detoured through downtown Richmond. This was in 1955. Each time we pulled up at a stoplight beside a city bus, I noticed that only white people sat in front and only black people in back. When I asked my parents why that was, their silence was pained and embarrassed. My mother whispered that she didn’t want to upset my younger brother. She told me to hand her my Magic Slate, a cardboard rectangle sheeted with an acetate film on which you drew with a stylus. Then you lifted the plastic film, and presto, your drawing was gone. I don’t remember exactly what my mother wrote on the slate. A short lesson on segregation. Then she lifted the magic film. Now you see it, now you don’t. I’d forgotten the incident until this past summer. What brought it to mind was the cover of Robert Frank’s photo essay The Americans, which has been reissued by Steidl and the National Gallery of Art as a new version, altered and re-edited under Frank’s supervision, of the 1959 Grove Press edition. The cover image, “Trolley—New Orleans,” is the same one that appeared on the front of the book fifty years ago. Taken through the windows of a streetcar, the photo captures the abstracted or attentive expressions of the passengers inside. Strictly sorted by race, men, women, and children, black and white, gaze dreamily out at the world or directly at the young photographer traveling back and forth across America to record what the country looked like in the final years of Dwight D. Eisenhower’s presidency. The fact that The Americans has been with us for half a century is an invitation to compare the nation Frank found with the one we now inhabit. Our cityscapes and the landscapes are of course transformed, and one can spend hours puzzling over the reasons people looked so different then, a fact that cannot be attributed simply to surface changes in fashion and coiffure. The jukeboxes that so dazzled Frank have disappeared into museums and private collections; men no longer wear hats or smoke cigarettes with the same panache. It could, I suppose, be argued that the distance between today and the 1950s can be measured by the difference between Barack Obama and Eisenhower, who makes a cameo in The Americans, his presidential portrait hung askew, sharing a formal-wear store window with a headless mannequin in a tuxedo. But the real measure of progress and stasis is always less straightforward and clear cut. I happened to be looking at The Americans on the day Harvard professor Henry Louis Gates Jr. and the Cambridge, Massachusetts, cop had their much-publicized misunderstanding about whether Gates, an African American, lived in his own house. And the animosity that The Americans incurred on its appearance is all too reminiscent of the era from which we are (let us hope) only now emerging, when a calculatedly whipped-up sense of menace fostered an atmosphere in which the truth, or indeed any criticism whatsoever, was condemned as unpatriotic, a danger to our freedoms and to the most cherished principles on which our nation was founded. The story behind The Americans is by now familiar, or should be. Born in Switzerland in 1924 to Jewish parents, having learned his craft through a series of apprenticeships to several masters of Swiss photography and design, Robert Frank arrived in New York in 1947, got a job at Harper’s Bazaar, discovered that fashion work wasn’t for him, and left to travel through Central and South America, then Europe. He returned to New York, where his work began to attract serious attention and where he became involved in an art scene that included Beat poets and abstract-expressionist painters. Walker Evans was his mentor, friend, traveling companion, and occasional employer, hiring Frank to photograph, for Fortune magazine, businessmen and politicians riding the “Congressional” express train between New York and Washington, D.C. The Americans must surely be among the most celebrated and (artistically, if not at first commercially) successful Guggenheim projects ever funded. Frank used his grant as promised, photographing America during a series of trips—covering more than thirty states and 10,000 miles in nine months—that lasted until the summer of 1956. He shot 767 rolls of film, 27,000 frames, which he edited down to eighty-three pictures that he arranged in an order to which he devoted much care and thought. 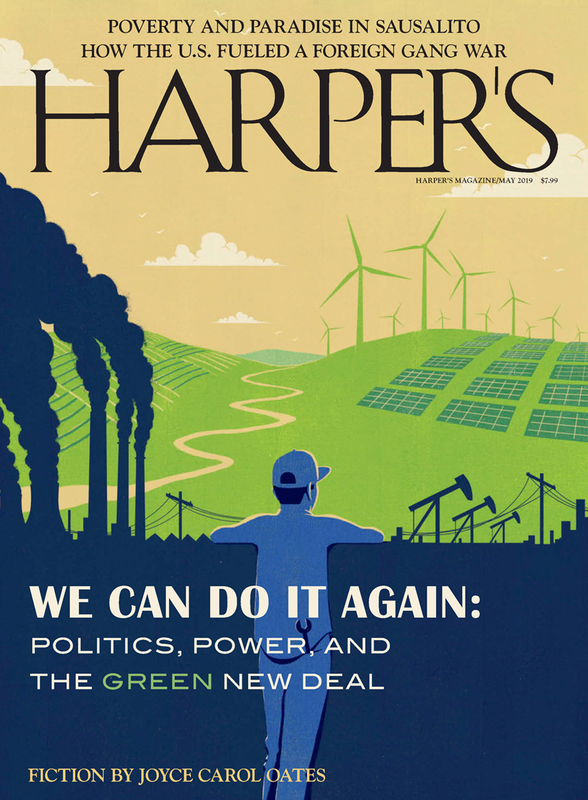 Francine Prose is a contributing editor of Harper’s Magazine. Her last review, “Love for Sale,” appeared in the May 2009 issue.